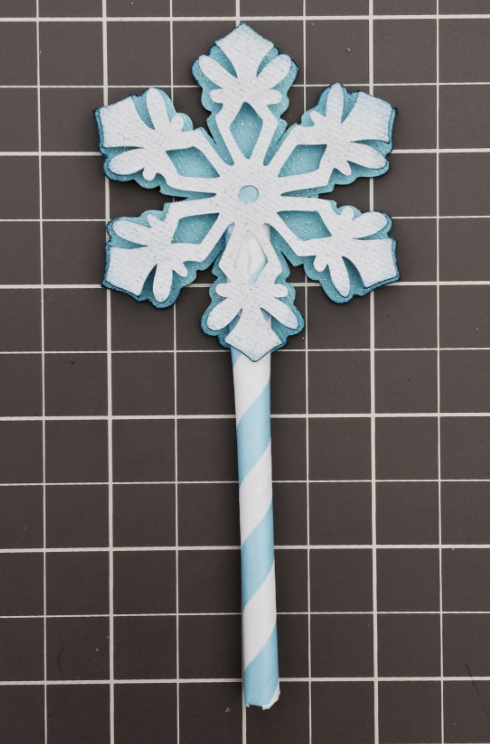 I used the Winter Lace Cricut cartridge to cut the white snowflake layer from Core'dinations glitter cardstock called white gloves. It was cut at 2.5 in. 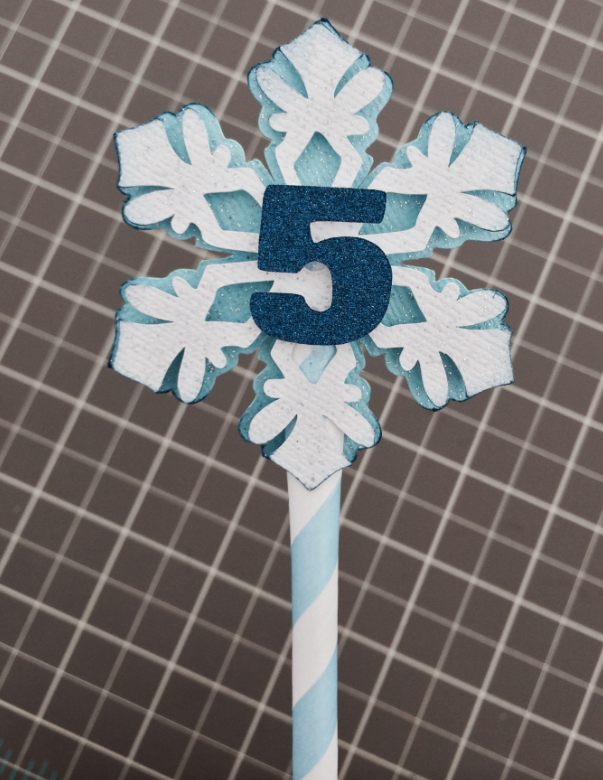 The blue snowflake layer was cut from Core'dinations glitter cardstock called blue diamonds. It was also cut at 2.5 in. 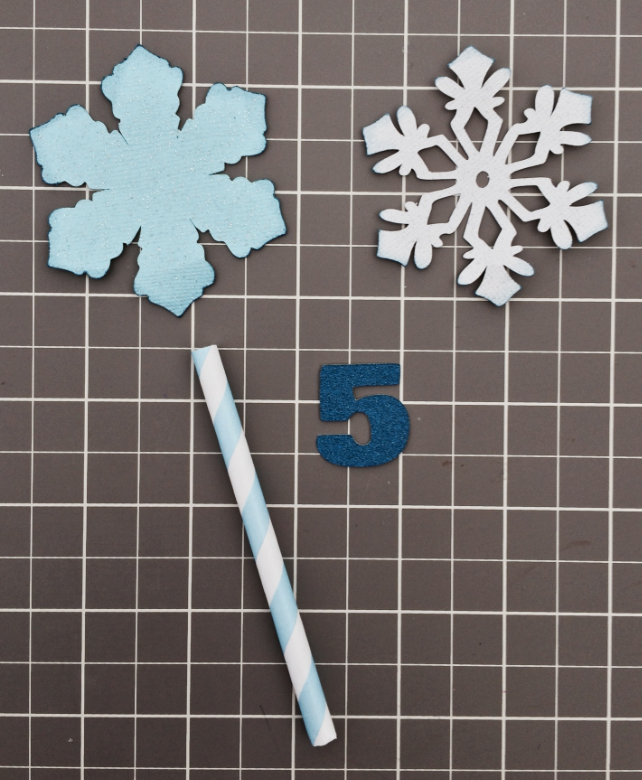 The number 5 was cut from Sweet Treats Cricut cartridge at 1.25 in. from a darker blue glitter cardstock. I used blue and white striped paper straws in place of toothpicks to stick in the cupcake. They work well for larger toppers like this. They are very sturdy and easy to glue the pieces to. The brand I bought came with 24 straws so I cut them in half so I can make 48 toppers. Before assembling I inked the edges of both snowflake layers with Tim Holtz Distress Ink in Faded Jeans. I stared by pinching about an inch of the straw flat. I didn't completely flatten it though, just enough to glue it down and have some dimension between the layers. 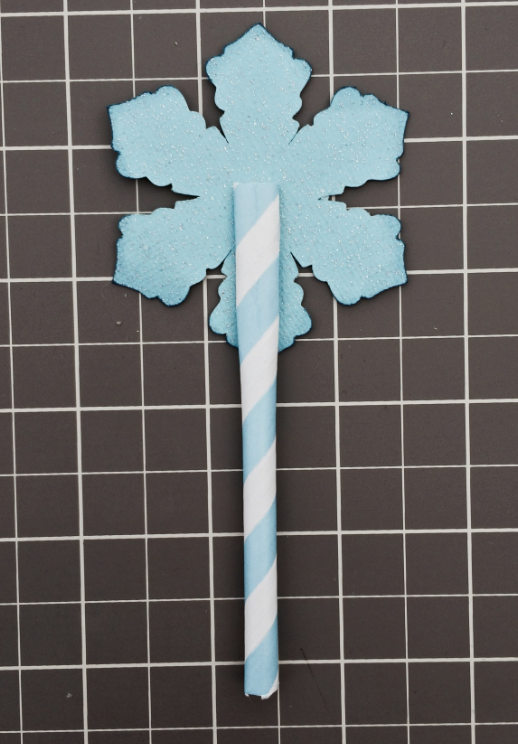 I glued it to the front of the blue snowflake layer going about up to the middle of the inside of the snowflake. Then I glued the white layer down on top of the straw. 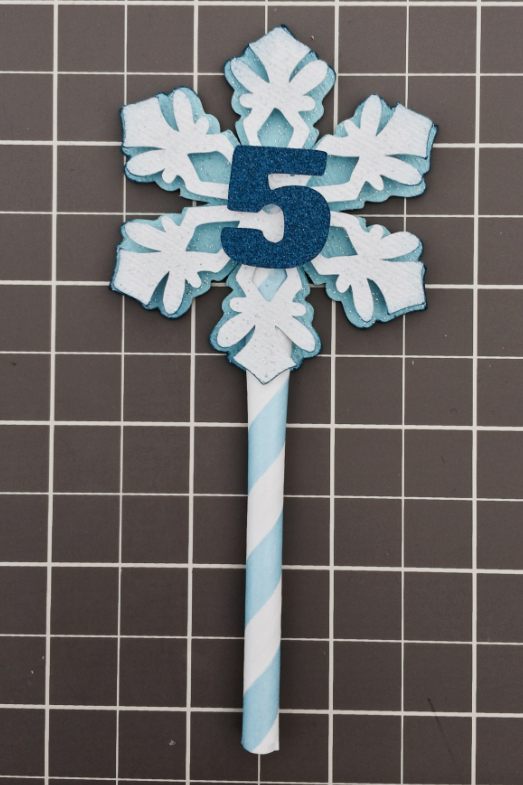 The final step was to adhere the dark blue 5 using foam dots I cut down to size. So cute and so dimensional. The party is next week so I'll be sure and take lots of pictures of the finished cupcakes and share them with you. These little projects are my favorite things to do. They will make my nephews so happy and the party guests will enjoy the cupcake display. Follow my blog, my Facebook page or my Pinterest page for more inspiration. Have a great crafty day! I used the Tag Sale #5 die to cut the pink patterned paper and I used Heart-2- Heart #1 mini stamp set with coordinating die to do the coffee cup. 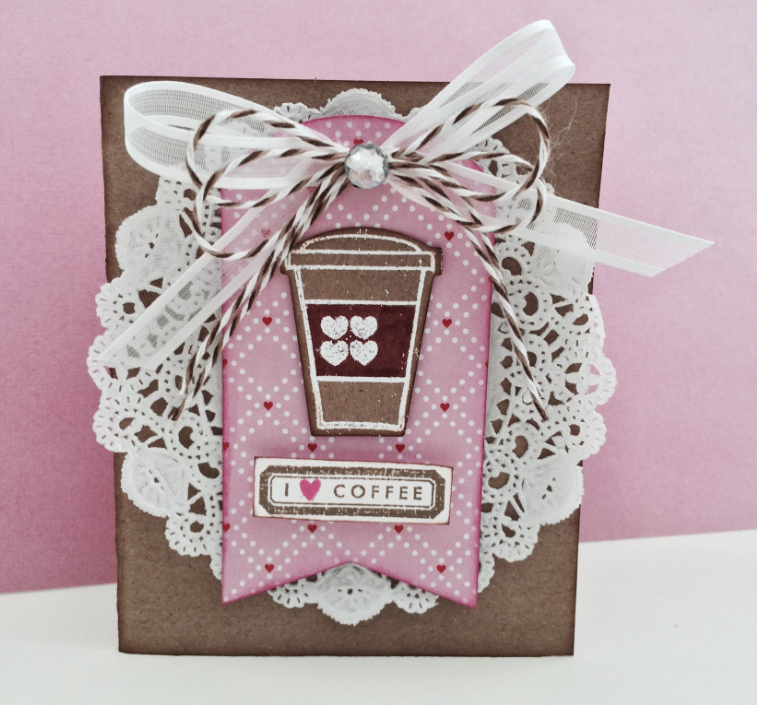 The sentiment was stamped using the Latte Love stamp set. Everything layered together beautifully with a few foam dots under the tag and the I heart coffee to add dimension. I hope you like, and I hope you will come back soon for more crafting LOVE.